Want it by Wednesday 24th April? Order within 2 days, 7 hours, 56 minutes and choose Next Working Day - Kerbside Delivery (Order Must be Placed by 2pm) at checkout. 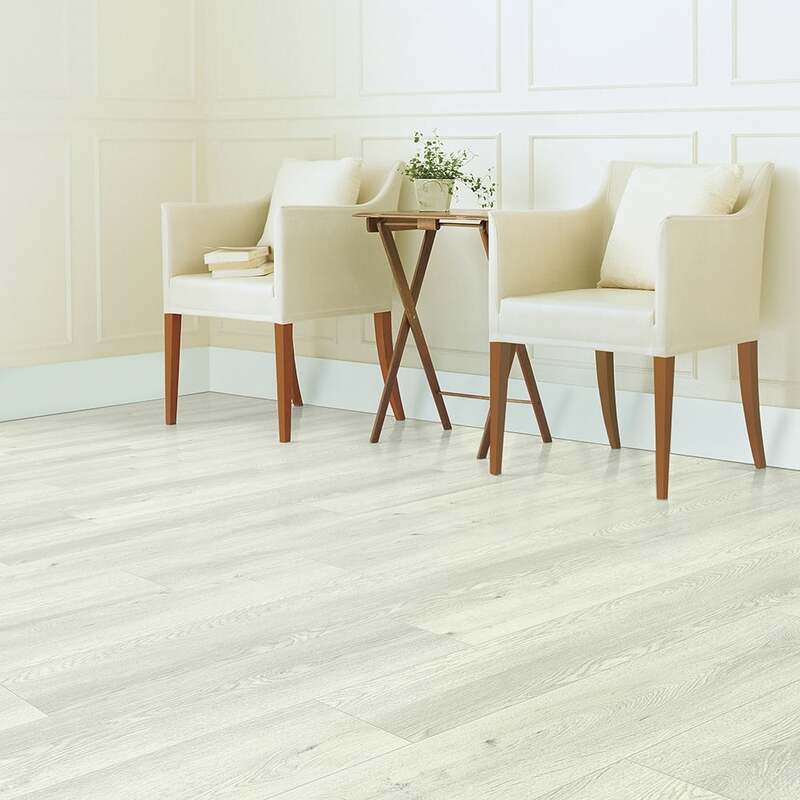 The Premier Select white oak is a very popular and modern 8mm thick laminate that will act as a stunning focal point in any home. Each board is 190.5mm wide with standard 1261mm lengths which combines to a massive 2.162 square meters per pack. The Premier Select range is suitable for all heavy residential applications with excellent wear ability and hygienic qualities. One of the main benefits of a laminate floor is the easy, glue-less click installation system. Laminate can be installed simply over most existing floors by following our laminate installation guide or by hiring the help of a qualified fitter to ensure that the job is done efficiently to a professional finish. To receive your FREE sample, contact us now! I absolutely love it! Got a sample and going to order that for my living room, hallway and bedrooms upstairs. Ordering this product was quick and easy. Delivery was prompt and I was kept up to date as to when it would arrive. Very good! Although I haven't laid the floor yet I have unpacked it and I am impressed with the quality of the product. It seems very sturdy and exactly what I was after.